It is our responsibility to care for the environment. Making yourself aware of your impact will help us all to preserve this beautiful natural environment for future generations. These forests are special. 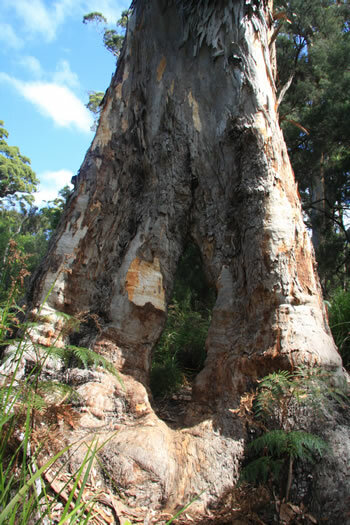 "Introduction of phytophthora dieback into the region has devastated many native plant communities and is threatening a number of rare plants with extinction." This requires OUR actions to prevent the spread of this disease. Please be responsible for your impact by keeping your shoes and tyres clean and free from dirt before entering into a bush land or forested area. Thank you for taking the time to care for the trees.